Apple today launched its long-awaited new AirPods and they include voice-activated Siri access as well as wireless charging for the battery case. Voice-activated Siri is critical for hands-free use cases and its availability will facilitate more seamless interaction with the voice assistant. The original AirPods require a tap on the wireless earbud to activate Siri listening which isn’t always convenient. New AirPods are selling today for $159 for the standard model and $199 with the wireless charging case. You can also purchase the wireless charging case à la carte for $79. The wireless charging case will work with Qi-compatible charging solutions according to the announcement. Delivery times are currently showing one-week to arrival and no in-store pickup availability. It will be interesting to see if the new AirPods lead to stock-outs and long order lead times similar to the original model. At the time, Apple had the market to itself but today there are many capable alternatives, several at lower price points. The other news on the AirPods front is longer battery life. New AirPods are rated for 5-hours of listening time and 3-hours of talk time with 24 hours of potential listening time including recharges in the battery case. The longer battery life and always on Siri availability are courtesy of the newly incorporates H1 chip which also will improve background noise reduction while using AirPods for calls. The long-awaited AirPods update has led to frequent speculation about new features. Apple matched at least two of these prognostications by providing Siri activation by voice instead of touch and improved noise cancelation. 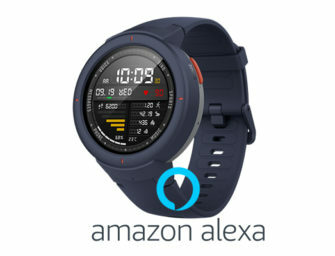 However, other rumors around biometric sensors, a heart-rate monitor, improved water resistance, and a version in black didn’t make the new version. Offering a new color option would seem like an easy feature to add and was the first question posed in the product forum around the new product. Alas, in homage to Henry Ford, you can have AirPods in any color you like so long as it is white. Regardless, AirPods are very popular and dominating the hearables category of smart, wireless earbuds. Hearables are earbuds and headphones that also provide voice assistant access so they are not simply passive listening devices. Apple AirPods controlled 24% of all wireless earbuds installed base in September 2018 as reported in the Voice Assistant Consumer Adoption Report. That was double the next closest competitor, Bose, at just 12%. AirPod market share of the true hearables space of smart earbuds was far higher, likely over 80%. New features such as heart rate monitoring could transform the space, but it seems like the focus for now is making AirPods faster, better, and with easier access to Siri. What do you think? Will you be buying the new AirPods or waiting for that model in black?